Detroit police are investigating after a masked man opened fire, killing a man and injuring a woman on Detroit's west side. 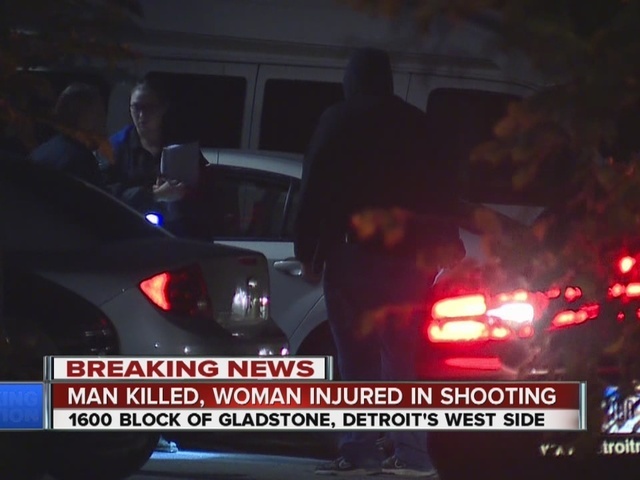 It happened around 11:50 p.m. Wednesday on Gladstone, near Rosa Parks Blvd. and Clairmount Ave.
Police say the 23-year-old man and 24-year-old woman were inside a car when the masked gunman opened the car's door and started shooting. The man, who was sitting in the passenger seat, died at the scene. The woman was in the driver's seat. She was taken to the hospital. Her condition is not known. Police have not said if they have any suspects. Stay with WXYZ and WXYZ.com for updates to this story.